I’ve been reminded that there are a couple of deadlines for GAP Member Play Days coming up! The first Member Play Day entry deadline is April 1, for AC Country Club. And Radnor Valley MPD will open on April 1, too. Radnor Valley is on a first come first serve basis so you can sign up as soon as registration opens. Anyone know what time it opens Monday? So remember that on Monday. And if you do try the lotteries, always ask for 4 spots and invite your fellow members if you happen to win a spot. Event Registrations are now open for the first 4 events. Registrations are set to close 2 weeks in advance of all events. So that’s April 6 for Back Creek. Coming up fast. Special Notes for Architects: Tee Box 3 is 6172 yards and is open to all players. There are no senior only tees. Note that event registration can be done on mobile but the mobile page for registration is not all that elegant, it requires some pinch and zooming. Maybe use laptop/desktop if you don’t have a super big phone. Continuing Preseason events. We hope to keep things going next Saturday April 6, weather permitting. If you’d like to give us a handle on your potential interest for April 6, please reply to this mail (will send this post out as a email too.) That will give us a rough sense of who’s interested in playing, all depending on weather, venue, and tee times of course. 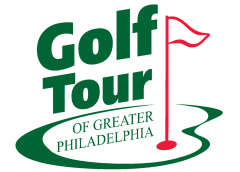 4/3/19 Update: We’ll be at Glen Mills this Saturday 4/6. Signups and info will be by email. Pay by Mail / Pay Pal. Yeah, we’d like to get back to using pay pal but the fees are a factor. So for now its pay-by-mail or pay-at-the-event. We will revisit this. Match Play. That probably deserves its own message. Stay tuned. I signed up for Radnor Valley. $130 but 4 miles from home so I save on gas. I signed up as well Tony.